I recently signed up to beauty box 5, when they had a buy one box, get one box free, promotion. I was 50/50 split between the two previous boxes. I liked one more than the other. I decided to keep the box for October to see what we would get, and then would make my decision on if I wanted to stay subscribed, or unsubscribe. 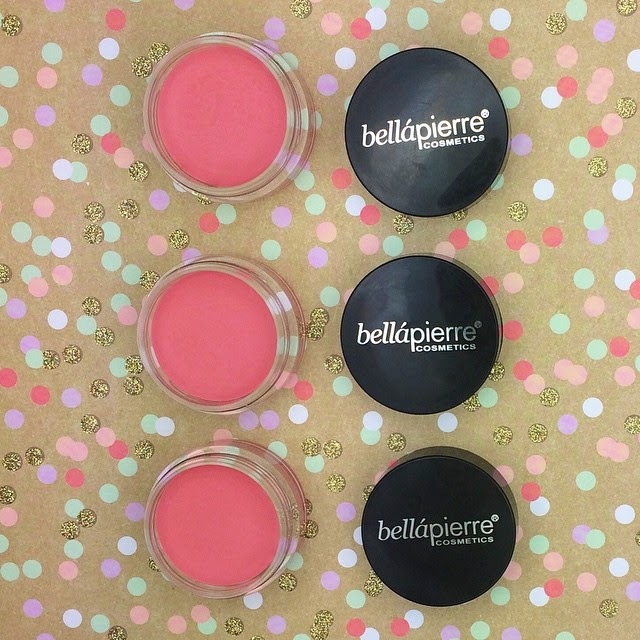 The product everyone will receive in their October Beauty Box 5 is bellapierre cosmetics, lip and cheek stain, in the colour pink. I've never tried this brand before, but I've seen it in Ipsy bags in the past. And it was actually a part of a recent Ipsy point redemption. I was excited to see what it would be like. I was happy with this product - i prefer it over the liquid lip and cheek stains. Really good color for the cheeks!